Author of ‘The Gulag Archipelago’ only received the prize four years after winning accolade. Alexander Solzhenitsyn was an iconic Russian writer of the 20th century. Legendary dissident and GULAG survivor, Solzhenitsyn was awarded the Nobel Prize for Literature 1970 "for the ethical force with which he has pursued the indispensable traditions of Russian literature." 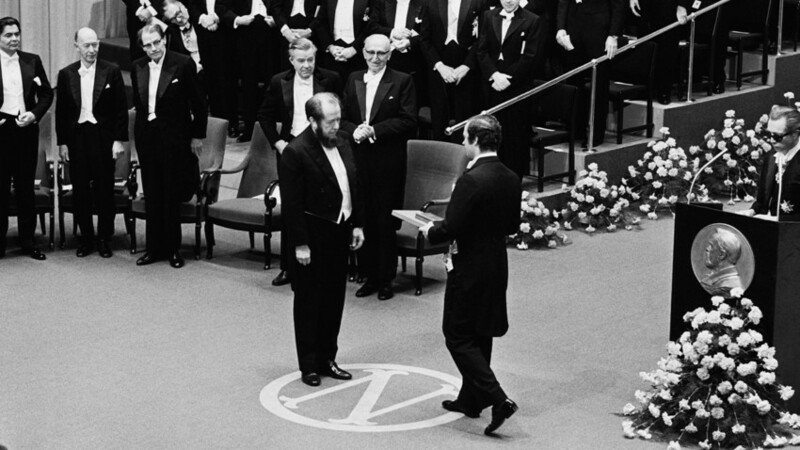 However, it wasn’t until 1974 that he was able to officially accept the award, the year he left the Soviet Union. His most famous works were devoted to prison camps, and his One Day in the Life of Ivan Denisovich brought him fame, and was miraculously published with Khrushchev’s personal approval. While his monumental documentary masterpiece, The Gulag Archipelago, describes the Soviet camps as a system, the publishing of that great work led to his forced exile from the USSR, to which he only returned after the country’s collapse.